"Let's get the dirty work over with first. The Black Dirt Sessions is, all hyperbole aside, Jack Rose's most complete and telling work to date. Those who have been following this Philadelphia wanderer's development and growth as a solo artist (both live and on record) know that such a statement is strong praise, as Rose's catalog is certainly not devoid of unqualified classics. The album takes its title from the studio where it was recorded - Jason Meagher's Black Dirt Studios located in Westtown, New York. Old friends Rose and Meagher developed a good working relationship and full understanding of each other's work habits and styles over the course of a spring 2008 joint tour between Rose and one of Meagher's bands, D. Charles Speer & The Helix. Rose, that eternal road warrior, booked some time at Black Dirt between tours in August, September and October of 2008 to lay down some new and fully realized material. This album is the complete result of those sessions. The album's artwork is somewhat of the yin to the yang of Rose's 2008 release on Three Lobed Recordings, I Do Play Rock And Roll. 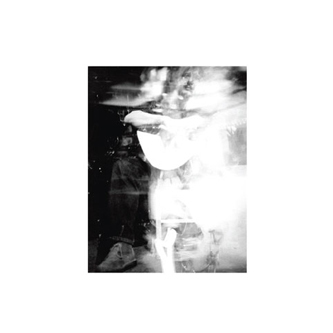 Bearing the same overall design aesthetic as that prior release albeit presented in a contrasting white with black print, The Black Dirt Sessions features a photo of Rose performing in New York in 2006. "